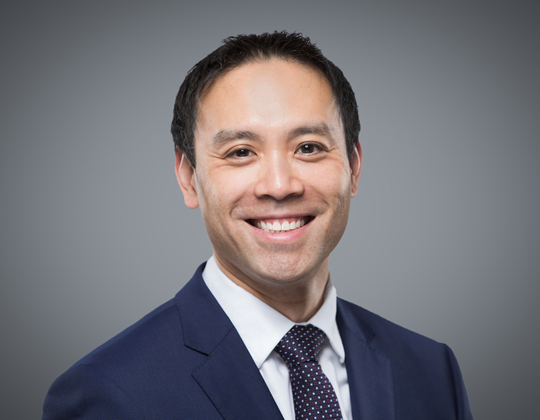 On January 2, 2019, Nordheimer J.A., writing for a unanimous panel of the Ontario Court of Appeal, released his decision in Heller v Uber Technologies Inc. The Court of Appeal found that Uber’s arbitration clause constituted a prohibited contracting out s.5(1) of the Employment Standards Act, 2000 (“ESA”) if the company’s drivers are found to be Uber employees. The Court of Appeal also held that the terms of the arbitration clause are “unconscionable at common law” and therefore is invalid under s.7(2) of the Arbitration Act. The plaintiff, David Heller, is a driver who is licensed to use Uber’s Driver App and who delivers meals using the defendants’ (Uber Technologies Inc., Uber Canada, Inc., Uber B.V. and Rasier Operations B.V., collectively “Uber”) UberEATS app. Mr. Heller commenced a proposed class action seeking, among other things, a declaration that Uber drivers in Ontario are employees of Uber and damages of $400 million. Following the Superior Court of Justice decision, he appealed Perell J.’s order that held that Uber’s arbitration clause applied and therefore prevented the plaintiff from commencing a civil action against Uber in Ontario. An Uber driver must agree to terms of a service agreement that contains an arbitration clause that requires disputes to be resolved under the laws of the Netherlands. The up-front administrative cost of participating in this process is roughly $14,500 USD. Furthermore, each party to a dispute is responsible for its own counsel fees, travel, and other expenses related to participating in the arbitration. As an UberEATS driver, Mr. Heller earns approximately $21,000-$31,000 per year before taxes and expenses. Nordheimer J.A. analyzed two core issues: (i) whether Uber’s arbitration clause amounted to an illegal contracting out of the ESA and is thus invalid and (ii) whether the arbitration Clause was unconscionable and thus invalid on that separate basis. Uber in respect of possible violations of the ESA. While the Court of Appeal did not determine whether Uber drivers are legally employees in this decision, it held that this matter “is an important issue for all persons in Ontario…[and] is an issue that ought to be determined by a court in Ontario”. The Court of Appeal rejected the lower court’s conclusion that “most grievances or disputes between Drivers and Uber can be dealt with by the dispute resolution mechanisms readily available from Ontario and that it will be a substantial dispute that entails arbitration in the Netherlands”. According to Nordheimer J.A., the only possible avenue for resolving disputes of any size was arbitration in the Netherlands. The arbitration clause represented a “substantially improvident or unfair bargain” since employees must individually, rather than collectively, resolve the matter in the Netherlands. The appellant did not have any legal or other advice prior to entering into the services agreement nor is it realistic to expect that he would have. There is a significant inequality of bargaining power between the appellant and Uber. Uber “knowingly and intentionally” chose this arbitration clause in order to favour itself and thus take advantage of its drivers. While the proposed class action still remains to be certified, the Court of Appeal’s decision means that the question of whether Uber drivers in Ontario are legally classified as employees can be determined in a civil trial. […] I do not see any reasonable distinction to be drawn between consumers, on the one hand, and individuals such as the appellant, on the other…. Rather, the drivers are individuals who are at the mercy of the terms, conditions and rates of service set by Uber, just as are consumers. If they wish to avail themselves of Uber’s services, they have only one choice and that is to click “I agree” with the terms of the contractual relationship that are presented to them. Recently, a majority of the UK Court of Appeal determined that Uber should treat its drivers as employees rather than self-employed contractors; thus entitling drivers to minimum wage and holiday pay. However, in September 2018, the US Circuit Court of Appeals for the Ninth Circuit (San Francisco) determined that Uber could in fact exercise individual arbitration clauses for disputes with drivers. This decision reminds employers about the importance of considering how arbitration clauses are written and how they apply in relation to employees. While arbitration clauses may offer efficiency and finality for dispute resolution, the ESA’s prescribed minimum standards and common law principles still apply. Employers will benefit from staying informed, being proactive in reviewing their employment contracts, and consulting legal counsel to advise on compliance with local employment laws. For more information on the topic discussed in this update, or to ensure that you are engaged with employment law matters please contact the authors of this article.